Physicists at the University of Leicester studying the dynamics of a zombie outbreak have calculated that it'd only take about 100 days for the vast majority of the world's population to be wiped out. The research, which was published in the peer-reviewed, student-run Journal of Physics Special Topics, used existing epidemiological models to calculate how fast the infection would spread. They assumed a hypothetical zombie virus where each zombie would infect one new victim per day, with a 90 percent chance of the infection succeeding. By splitting the population into three categories - those susceptible to infection, those already infected, and those dead or recovered, they modelled the spread of the zombie plague. The findings aren't good for humanity - on day one hundred after the first bite, there would be only 273 remaining human survivors, outnumbered more than a million to one by zombies. However, if the human ability to fight back and reproduce is included in the model, then things don't look so bad. 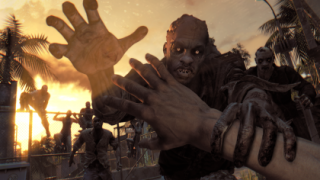 When survivors are also able to gain experience in avoiding or fending off zombies, the team calculated that the world's human population could survive, and eventually wipe out the zombies and recover its numbers.